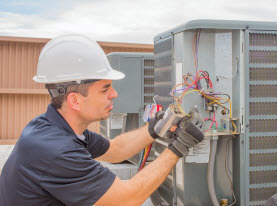 Hal Mechanical is a licensed and bonded Las Vegas air conditioning company with a 24 hour service department to help you with all your air conditioning needs. We service the greater Las Vegas Valley, including Las Vegas, North Las Vegas, Henderson, Green Valley, Summerlin and much more. Our qualified team will give you the service you need when you need it. 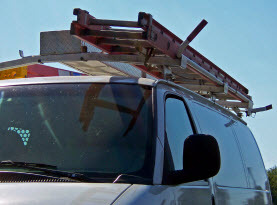 Some of the services we specialize in are; A/C change outs and retrofit applications, diagnosis of A/C equipment and duct work air distribution system, new construction, tenant improvements, shell buildings, custom homes, general sheet metal, architectural metals, metal roofing, fascia metal, gutters & downspout, metal soffits. 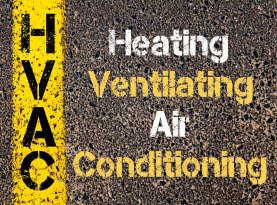 Hal Mechanical can also design build heating and air conditioning for your need with mechanical drawings, building envelope energy compliance certificates, mechanical energy compliance certificate for a complete installation to local codes and jurisdiction. 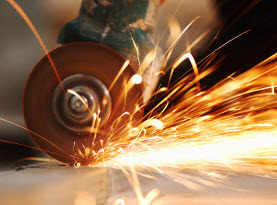 At Hal Mechanical we also have a manufacturing sheet metal fabrication shop that can custom build a variety of products out of sheet metal and assist in your design requirements for all your custom metal needs. Some of the types of metal we can build with include; Galvanized, Black Iron, Paint Lock, Copper, Brass, Stainless Steel, Aluminum, Prefinished metals with KNR-500 finish and come in many colors to choose from. 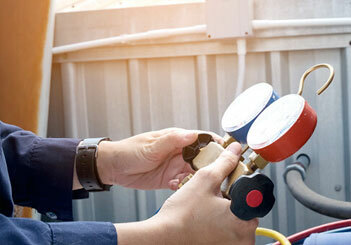 We specialize in the repair and installation of a wide range of Brand Names including; American Standard, Trane, Rheem, Carrier, Bryant, Lennox, Goodman, Amana, York, ICP, Fujitsu, Sanyo, Dayton, Reeznor, Broan, Greenheck, Phoenix, Champion.